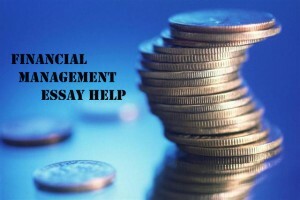 Financial essay is an important step during your coursework. It can help the teacher to identify your readiness to make issues on finance out. It is a good chance for students to show their skills in managing finance and dealing with financial concerns. In order to write an effective financial essay, the structure is essential. Your thoughts and ideas should be structured and organized in order, following the essay writing rules, format, grammar and punctuation. Majority of financial essays comply from four essential essay components: the Introduction, Thesis Statement, Essay Body and Conclusion. Each part has its role in the development a selected financial topic. The first step in writing essay about finance is to choose the topic that is relevant to your course and has an impact on the modern finance. The main goal of the financial essay is to show the instructor your ability to analyze current situation in finance and give your opinion on it. It would be your great advantage if you could inject your personal insights into the paper, supporting them with appropriate textual references. Choose the topic you have a good understanding of to make your financial essay writing coherent and easy-to-grasp. When you have already decided on the topic you can start making an outline for your essay. This will help you to keep your thoughts in line with the subject and will ensure the balanced and logical representation of financial sub-topics and related facts. Keep in mind that additional function of the essay outline is to serve as a guide on how you are going to answer the main questions in your financial essay. Concentrate on gathering various possible research tools and relevant materials that can be useful for writing your financial essay. Use this information as supporting facts for the arguments in your essay. When you work on choosing the reference materials, select the sources that undergone professional boards review or were written by the financial professionals. Start your essay with the introduction. It should demonstrate comprehensive understanding of the financial theories. It should show their impact on the financial situation nationwide and worldwide. Write a thesis statement and try to stick to it throughout your financial essay. It is also advisable to state the methods used during the essay writing and the main goals you want to achieve after writing the essay introduction. The body of the essay should present the main information on the topic. As a rule, the financial essay can rarely rely on subjective opinion. It should focus on proven facts, data and formulas in order to determine the outcomes. If you want to develop insightful topics within your financial essay, think in terms of legal or ethical issues. You can get all the necessary information from the financial textbooks, lectures, online and offline library sources and latest financial journals. If you will examine all the selected sources in detail, you will have a chance not only to write an excellent financial essay with a solid foundation, but also to conduct comparing analysis of the financial trends and tendencies in the world within a specific period of time. The conclusion should summarize all the arguments mentioned above and give their full evaluation and assessment. If it is possible, prepare some visual charts and detailed graphics that will support and confirm your conclusions. When the essay is ready, proofread it with extra care at least three times. Look for errors in grammar, spelling, syntax or punctuation during your revision. Pay extra attention to the financial essay formatting. Some professors prefer their students to write essays in the selected writing style and format. In this case, they usually provide detailed formatting guide. If not, use MLA or Harvard formatting rules to compose a professional looking financial essay.